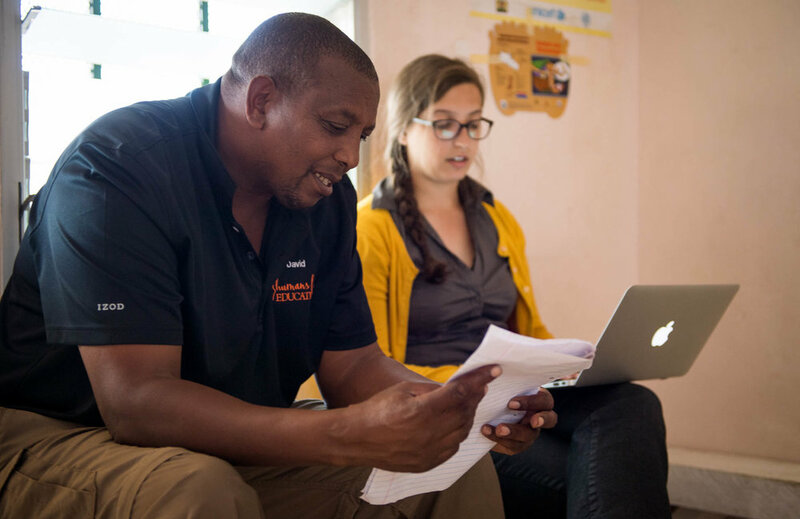 Humans for Education was founded by Daphne Pariser after a trip to Kenya when she was ten years old. The shock of seeing poverty firsthand was the catalyst for her to start this organization. Daphne wanted to ensure that the nonprofit was creating solutions alongside the community and that the solutions were sustainable longterm. She went back to Kenya at 21 and discussed with the locals how they would solve poverty, their idea was to build small businesses for schools and clinics so that they could operate without donations and help from the government. And that is exactly what we do. You can learn more about us by watching her TED Talk. Our work isn’t possible without the extreme generosity of our donors and sponsors, so we work to ensure that all of our data is collected and analyzed properly and that the public has access to it. All our financials and school data can be found below. Hear from the volunteers and employee who work in the field to provide assistants to our teachers and clinics. Make a difference doing something you are passionate about. We are always looking for talented, bright people to help us further our mission.